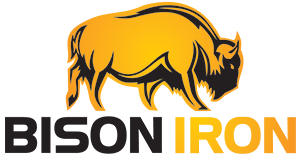 ABOUT US | Bison Iron Corp.
Bison Iron are the authorized dealer for McCloskey Crushers, Screeners, Trommels, Conveyors and Aggregate Washing Equipment for British Columbia, Western Canada & Alaska, United States. McCloskey Design and Manufacturer their full range of products in North America specifically for the North American Market. Bison Iron have supplied high production crushing and screening plants to many of North America’s largest aggregate producers, road building contractors and contract crushing companies. Recently we’ve installed equipment on numerous Wind farm’s, Oil/Gas & Construction Projects, Gravel Pit, Aggregate Recycling and Composting Operations throughout the United States and Canada. At Bison Iron our experienced team understands the business. We know our products very well and we’re even more very familiar with the applications and the challenges you face on a daily basis… production, quality, tight specifications, product shape, wear costs, maintenance, downtime, safety, mobilization/setup time & costs. Bison Iron also represents products such as Compost Windrow Turners, Biomass Star Screens, Low Speed Shredders, High Speed Grinders and Complete Recycling Systems.